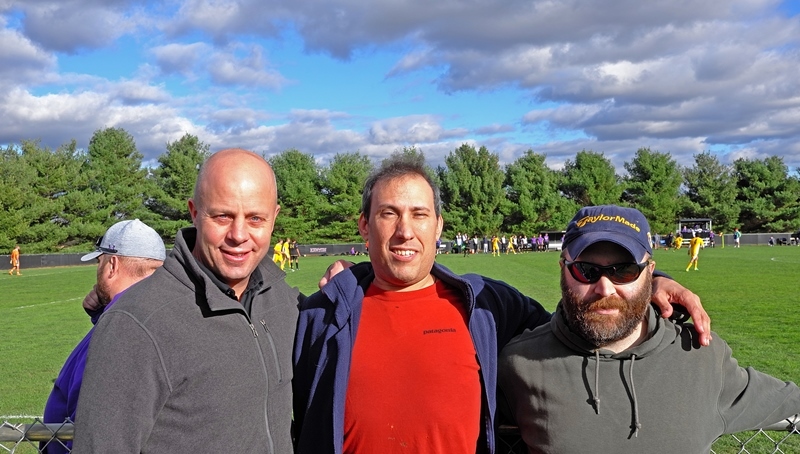 Brothers Jon Moodey '98, Scott Dinger '97 and Joe O'Reilly '97 decided to have their own mini-reunion on Saturday, October 22 at the Kenyon vs. Allegheny soccer game. Drew McFarland '87 mentioned that he hadn't seen them since graduation. Thanks for the submission, Drew. Glad you guys could reconnect! Have you had a chance to reconnect with a brother lately? Is there a brother you'd like to get together with in the near future? What about your favorite memories of your brothers? Share your stories and photos here.